New lottery game to benefit families of fallen police officers. Gov. Bruce Rauner signed a bill this week to create a new Illinois Lottery scratch-off game from which proceeds will fund police memorials, support for the families of officers killed or severely injured in the line of duty, and protective vest replacements for officers. 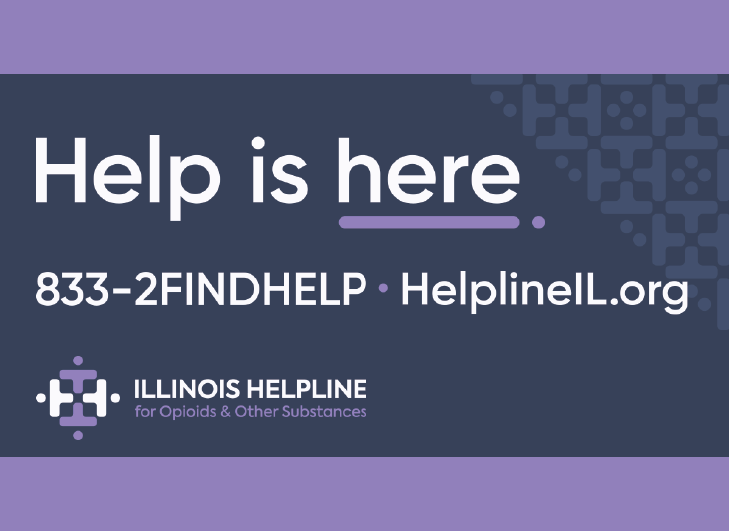 House Republican Leader Jim Durkin, along with prominent police memorial funds, pushed forward House Bill 5513, which creates the police memorial instant ticket and requires that net proceeds go to the Criminal Justice Information Projects Fund. The funds are then to be divided equally among the Chicago Police Memorial Foundation Fund, the Police Memorial Committee Fund, and the Illinois State Police Memorial Fund. The three designated police memorial funds provide support to families of officers who have been killed or severely injured in the line of duty. The funds raised through this new scratch-off ticket will be used to build and maintain police memorials and parks, hold annual memorial commemorations, give scholarships to children of officers killed or severely injured in the line of duty, provide financial assistance to police officers and their families when a police officer is killed or injured in the line of duty, and provide financial assistance to officers to purchase or replace protective gear. The new law goes into effect Jan. 1, 2019. CGFA publishes FY19 Budget Summary. The Commission on Government Forecasting and Accountability (CGFA), the nonpartisan budget watchdog arm of the Illinois General Assembly, released its FY19 Budget Summary on Wednesday, August 1. The FY19 appropriations bill was enacted as HB 109, and the FY19 Budget Implementation Act that amends State statutes to align with the appropriations numbers was enacted as HB 3342. The two bills, together, constitute the State’s budget for the current fiscal year. The Illinois Constitution requires the State to annually enact a balanced budget in which spending does not exceed projected revenues. Fiscal problems have resulted as the State has, in recent year, failed to strictly enforce this mandate. For FY19, however, CGFA finds that projected State revenues and projected State spending closely match each other, fulfilling the balanced budget mandate. CGFA will, however, closely monitor State revenues on a 30-day basis from now until the end of FY19 to review whether the cash flows of money coming in match the projections made when the budget was adopted. July 2018 revenues came in with mixed numbers; video game tax revenue growth beginning to slow down. Overall base receipts grew year-over-year by $342 million in July 2018. Income taxes performed well, still reflecting the timing of receipts related to last year’s July rate change. Sales taxes however were weaker, as were federal sources. Numbers compiled by the Commission on Government Forecasting and Accountability were published in their July 2018 Monthly Briefing, released on Thursday, August 2. Sales tax revenues from goods purchased at traditional “brick-and-mortar” physical retail locations continue to decline in Illinois. The Illinois Department of Revenue (IDOR) will soon take action to increase enforcement of State sales tax collections on goods purchased online by Illinois residents if they are shipped to an Illinois address. In a special section of the report, CGFA staff asked lawmakers to pay close attention to trends in Illinois video gaming. The video game industry has enjoyed serious growth in Illinois since the first terminals went online in September 2012, with the number of licensed game terminals increasing to 29,283 as of June 2018. In the recently-concluded FY18, licensed Illinois video game terminals generated $422 million in tax revenues for State and local governments. The Illinois Gaming Board has reported to CGFA, however, that growth is beginning to slow in the Illinois video gaming market, possibly reflecting potential long-term saturation in the Illinois gaming marketplace. Video gaming tax revenues are, by law, placed not in general revenues but in a separate family of capital-infrastructure funds operated by the State. Much of the money is used to repair and rebuilt transportation roads, bridges, mass transit resources, and school buildings and facilities. New nationwide ranking gives above-average overall score to Illinois schools. The 50-state WalletHub survey ranked public school systems for performance, funding, safety, class size, and instructor credentials. Illinois schools were ranked 21st overall. The WalletHub overall score of 54.20 placed Illinois above the scores posted by most other large U.S. states (New York: 53.36; Pennsylvania: 51.36; Texas: 46.90; California: 46:33) and above the scores posted by several states that border Illinois (Indiana: 52.69; Missouri: 51.20). Illinois’s above-average score was driven by a very high “quality” rank of 15thamong the 50 states. This quality ranking was by far the highest among the 10 largest U.S. states as measured by population. The high quality ranking was tempered by a challenged ranking for school safety, with Illinois schools ranked only 40thfor school safety. 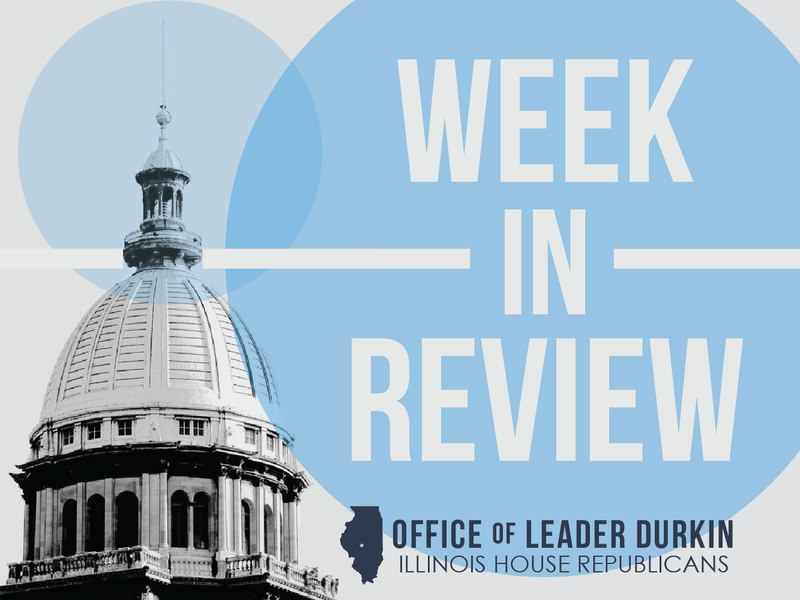 Illinois House Republicans continue to urge the State Board of Education to work closely with local school districts to enforce requirements that school buildings be refitted to make them as safe for students as possible. The WalletHub ranking table was published on Monday, July 30. Rep. Keith Wheeler appointed as House Republican Conference Chairman. The second-term lawmaker represents a growing section of suburbs and townships, including his hometown of Oswego, in the lower Fox River Valley. Representative Wheeler, a 27-year small business owner, will chair caucus meetings when House Republican members meet to discuss questions of issues and policy. Rep. Wheeler's appointment was announced by House Republican Leader Jim Durkin, on Tuesday. "During his time in the General Assembly, Rep. Wheeler has exemplified his commitment to our caucus and to the principles we fight for every day. It is an honor to have him serve on our Leadership team and I look forward to working with him as we continue to fight for what's best for Illinois." "I am truly honored to accept the appointment as Republican Conference Chairman," Rep. Wheeler said. "This role will enable me to be an even more effective voice for Fox Valley families as we work to create Illinois jobs for Illinois families and make much-needed reforms to state government. I am grateful to my constituents and my colleagues for the confidence and trust they have placed in me." In addition to this new appointment as House Republican Conference Chairman, Representative Wheeler continues to serve as Co-Chairman of the Joint Committee on Administrative Rules (JCAR), the state’s legislative oversight committee of rules used to implement new and existing laws across all state agencies; a position he has held since February 2017. Rep. Wheeler lives in Oswego with his wife, Lisa, and their three children. IDES reports on June job creation within Illinois metro areas. The Illinois Department of Employment Security (IDES) tracks local unemployment rates month-by-month within fourteen Illinois metropolitan statistical areas. Statistical areas are boundaries drawn by the federal government around a city and its suburbs and exurbs. In June 2018, there was net new job creation in nine metro areas, including the key Chicagoland metropolitan area. Five metro areas lost jobs, with the biggest loss reported in Springfield, the state capital. However, Chicago’s net new job creation (up 42,300 jobs in June 2018) dwarfed Springfield’s loss of 1,400 jobs. Five industry sectors generated June 2018 job growth in the majority of Illinois metro areas, with growth reported in transportation, warehousing and utilities; education and health services; manufacturing; professional and business services; and leisure and hospitality. Pockets of comparatively high unemployment continued to exist in some of the traditional heavy-industry regions of the state. June 2018 unemployment rates equaled or topped 5.0% in Danville (6.0%), Decatur (5.7%), Rockford (5.2%), Carbondale (5.1%), and Peoria (5.0%). Annual worker pay gains rise at fastest pace since 2008. The nationwide figures were released by the U.S. Department of Labor, which reports that pay and benefits for all U.S. workers increased 2.8% in the second quarter of 2018. The pay and benefit hikes were driven by a tight labor market, with nationwide jobless numbers posted at 4.0% for June 2018. Illinois’ jobless rate was slightly higher than the national average, with June 2018 unemployment in the Prairie State coming in at 4.3%. Governor signs Butler bill creating Illinois Route 66 Centennial Commission. Gov. Bruce Rauner signed legislation Tuesday creating the Illinois Route 66 Centennial Commission. The commission will develop plans for celebrating the famous road’s 100thanniversary in 2026. Also known as The Mother Road, Route 66 put Illinois on the national numbered highway network map in the late 1920s as the state became the first to pave the entirety of its share. The route took travelers between Illinois and California at a time when traveling by car was just beginning to overtake rail travel. Route 66 became renowned for its over-the-top roadside attractions and plethora of conspicuously neon-lit motels — resulting in the “Get your kicks on Route 66” song lyrics of 1946. “Illinois has a distinct place of honor in this famous road’s history. Not only is Chicago its starting point, our people were the first to pave it from end to end as it wound southwest toward St. Louis and on to the Missouri border,” Rauner said after signing HB 66. “This made it easier for motorists to travel and sparked a golden era of fun family road trips, with plenty of places to stop and enjoy along the way. Route 66 originally ran 2,448 miles from Michigan Avenue and East Adams Street in Chicago through Missouri, Kansas, Oklahoma, Texas, New Mexico and Arizona en route to Santa Monica, California. The highway was decommissioned in the mid-1980s, and across many states only a ghost of it remains. In 1989, Illinois was among the first states to create a Route 66 Association, and in the late 1990s, it was made a State Heritage Tourism Project. In 2005, Illinois Historic Route 66 gained National Scenic Byway status, the first state attaining that designation. Illinois Veterans Home must-notify bill signed. A new law will require State-run veterans homes to notify residents and their emergency contacts within 24 hours if two or more facility residents are diagnosed with an infectious disease within a 30-day period. 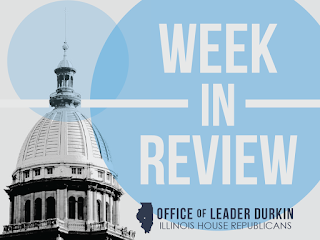 The General Assembly passed this bill in the 2018 spring session as one of the State’s responses to the recent outbreak of Legionnaires’ disease at the Illinois Veterans Home in Quincy, Illinois. The House and Senate also enacted a budget for FY19 that includes $53 million intended to carry out planning and design work for a complete rebuild of the care facility’s current infrastructure. $6.4 million has already been spent on a water purification system within the existing veterans home. Passage of the must-notify bill will give residents and their loved ones fair warning should a dangerous situation recur at the Quincy veterans Home. 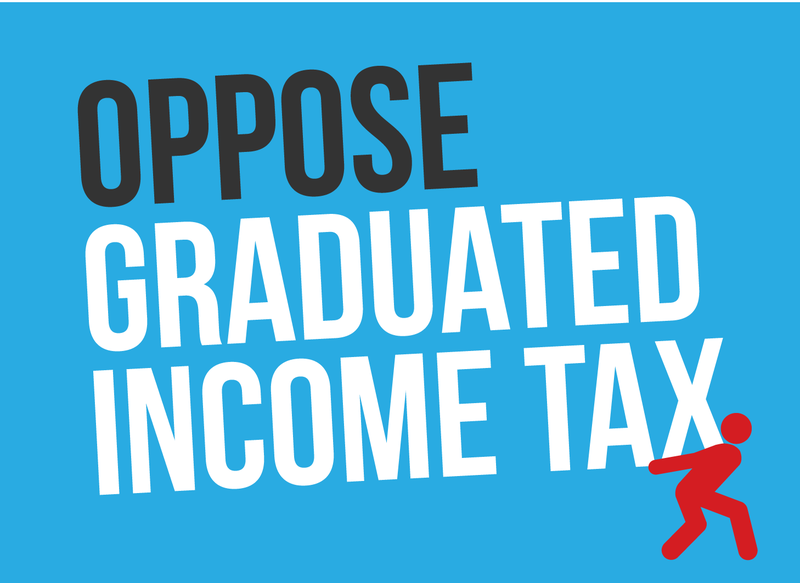 HB 4278 was signed into law on Friday, July 27.